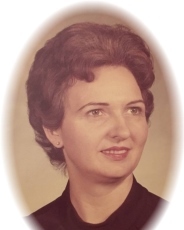 Mrs. Betty Gunn (Harper) Pollard, age 81, of Griffin, passed away peacefully on April 8th at Southland Nursing Home. Mrs. Pollard was born on April 18, 1937 in Griffin, GA. She is preceded in death by her parents, William Lester Gunn and Carrie Cochran Gunn; siblings Catherine Elizabeth Mangham, William Lester Gunn, Oscar Durell Gunn; and a grandson, John C. Ward. She is also preceded in death by former husbands Winfred R. Harper and Ralph B. Pollard. Betty was retired from Thomaston Mills. She thoroughly enjoyed baking cakes and, over the years, made thousands of cakes for friends and relatives. Betty also enjoyed going to church. Over her lifetime, she was a member at Carver Road Baptist Church, Whitewater Baptist Church, and Brooks Baptist Church. Mrs. Pollard is survived by her son and daughter-in-law, Steve and Robin Ward; grandchildren, Anna and Matthew Ward; nieces and nephews, Deborah and Rickey Killingsworth, Cathy and Jimmy Bunn, Mike and Connie Polk; many great nieces and nephews in the Griffin area. Visitation will be Thursday, April 11, 2019 from 1:00 pm until 2:00 pm at Conner-Westbury Funeral Home. The funeral service will begin at 2:00 pm in the Chapel of Conner-Westbury Funeral Home, followed by interment at Westwood Gardens.